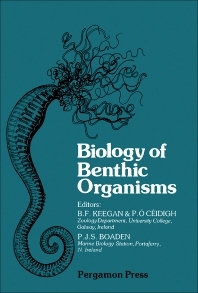 Biology of Benthic Organisms contains papers presented at the 11th European Symposium on Marine Biology, held at Galway, Ireland in October 1976. The collection contains 63 papers discussing the biological aspects of benthic organisms. The authors, mostly marine biologists, provide articles discussing their studies of marine life from different bodies of water from around the world. Topics on community structures of soft-bottom macrofauna in different parts of the Baltic; studies on anaerobic nitrogen fixation in the sediments of two Scottish sea-lochs; distribution of benthic phyto- and zoocoenoses along a light gradient in a superficial marine cave; and structural features of a North Adriatic benthic community are discussed in detail. Marine biologists, botanists, zoologists, and biologists will find the book invaluable.